The Dark Knight Rises is one of the year's hotly anticipated films and we know there are many IMAX fans out there keen to be among the first to experience director Christopher Nolan's work on the world's largest screen possible. Stay tuned as ticket sales announcements will be made in coming months. 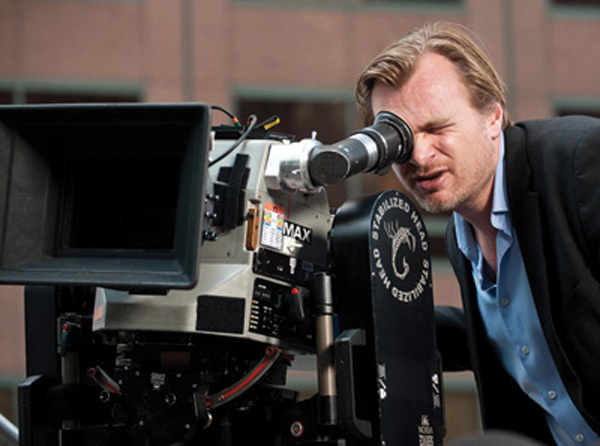 "...I think IMAX is the best film format that was ever invented. It’s the gold standard and what any other technology has to match up to, but none have, in my opinion." - Christopher Nolan, in a Q&A with the Director's Guild of America. Q: What does IMAX give you that you don’t get from anamorphic 35 mm or 65 mm? A: We shot 5-perf 65 mm for a few scenes in Inception and I liked the results a lot, plus you can use sound with it. But IMAX has three times the negative area of that format. It’s such a leap up in terms of quality that if you’re working on a film that’s such a large-scale production you can embrace the more cumbersome technology, and allow for it and build it into your production process, then what you get in terms of quality when you’re shooting is pretty extraordinary. 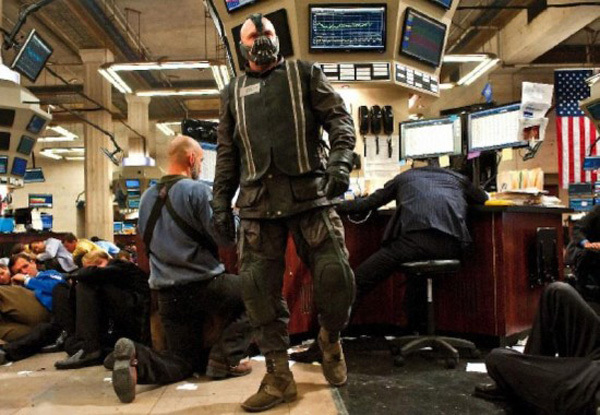 For The Dark Knight Rises we were on Wall Street with a thousand extras, and you can see everybody’s face in the frame. In some ways, I feel it takes me back almost to the silent film era, when they had those huge cameras. Trying to do things in more of a tableau fashion, it changes the way I direct a film, it changes the way I block the camera movement because of the size of the thing. The resulting image has so much power that you don’t need to cut in the same way, you can frame the shot slightly differently, you wind up with a slightly different feel. Q: Have you shot all of your big-budget films on IMAX? A: We didn’t shoot IMAX for Inception because we were trying to portray the reality of dreams rather than their extraordinary nature, so we used a handheld camera and shot it in a more spontaneous way. Whereas the operatic quality of The Dark Knight and The Dark Knight Rises felt very well suited to IMAX’s larger canvas. So it’s different depending on what film you want to do. But, in each case, as a filmmaker who’s been given sizable budgets with which to work, I feel a responsibility to the audience to be shooting with the absolute highest quality technology that I can and make the film in a way that I want. The Dark Knight Rises starts on 19 July 2012.